“We may advise PMO that any Officers who are not part of Indian Negotiating Team may refrain from having parallel parlays [parleys] with the officers of French Government. In case the PMO is not confident about the outcome of negotiations being carried out by the MoD, a revised modality of negotiations to be led by PMO at appropriate level may be adopted in the case.” the Defence Ministry note stated. 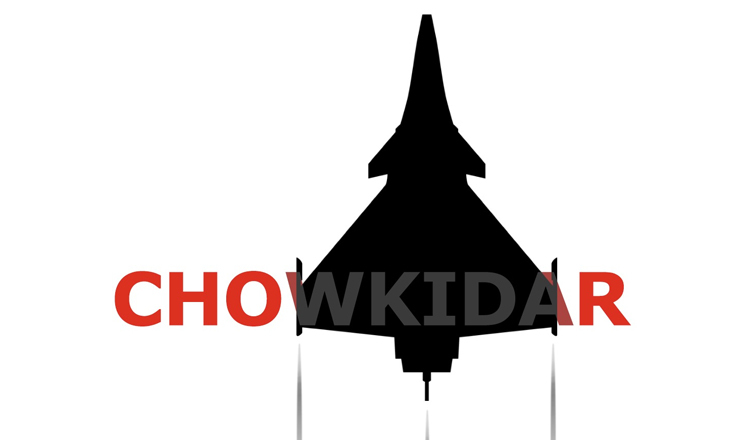 The government’s submission to the Supreme Court in October 2018 stated that the Rafale deal negotiations were made by a seven-member team chaired by the Deputy Chief of Air Staff but there no mention of any role being played by the PMO in the same. The note was prepared by S. K. Sharma, Deputy Secretary (Air-II), and endorsed by the Joint Secretary & Acquisition Manager (Air) and the Director General (Acquisition) in the Ministry. 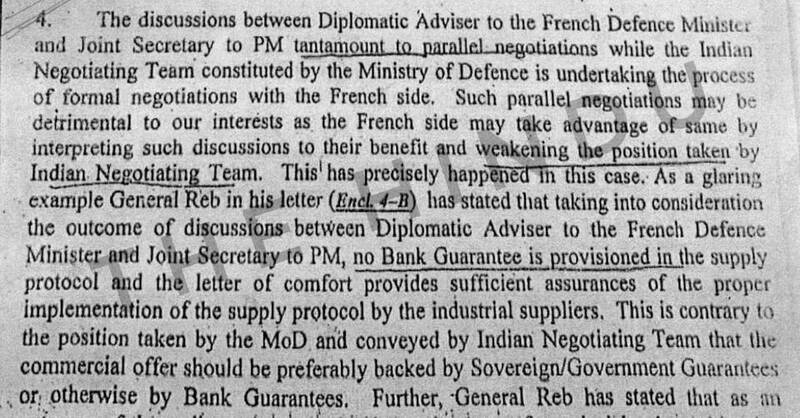 The Defence Ministry also brought to the PMO’s attention a letter written by the head of the French Negotiating Team, General Stephen Reb, which mentioned about a telephonic conversation between Jawed Ashraf, Joint Secretary to Prime Minister and Luis Vassy, Diplomatic Adviser to the French Minister of Defence. The letter dated October 23, 2015, stated that the telephonic conversation took place on October 20, 2015. Following it, the head of the Indian Negotiating Team, Air Marshal S. B. P. Sinha, AVSM VM, Deputy Chief of Air Staff, wrote to Mr. Ashraf, regarding the same. Responding to this, Mr. Ashraf confirmed that he had held discussion with Luis Vassy and that Vassy spoke to him on the advice of the French President’s office and the issues referred to General Reb’s letter were discussed. 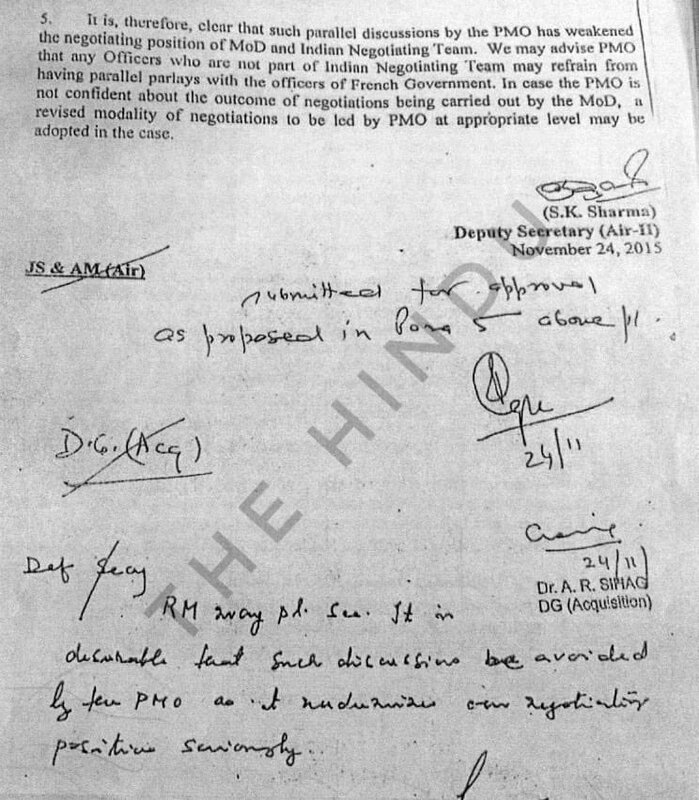 The Defence Ministry note stated that such discussions tantamount to parallel negotiations. “The discussions between Diplomatic Adviser to the French Defence Minister and Joint Secretary to PM tantamount to parallel negotiations while the Indian Negotiating Team constituted by the Ministry of Defence is undertaking the process of formal negotiations with the French side,” the note read. “Such parallel negotiations may be detrimental to our interests as the French side may take advantage of same by interpreting such discussions to their benefit and weakening the position taken by Indian Negotiating Team. This has precisely happened in this case,” the note added. Another revelation made in the letter is that following the discussion between Mr. Ashraf and Luis Vassey, no bank guarantee was provisioned in the supply protocol. “Taking into consideration the outcome of discussions between Diplomatic Adviser to the French Defence Minister and Joint Secretary to PM, no Bank Guarantee is provisioned in the supply protocol and the letter of comfort provides sufficient assurances of the proper implementation of the supply protocol by the industrial suppliers,” the note mentioned. This was “contrary to the position taken by the MoD and conveyed by Indian Negotiating Team that the commercial offer should be preferably backed by Sovereign/Government Guarantee or otherwise by Bank Guarantee,” the note added. Earlier, The Hindu had reported that National Security Advisor Ajit Doval had advised the then Defence Minister Manohar Parrikar to do away with a bank guarantee or sovereign guarantee. Not just this, In September last year, it was reported that former French President Francois Hollande had said it was the Indian Government that proposed the name of Anil Ambani’s Reliance Defence to be chosen as the offset partner of Dassault in the Rafale deal. “We didn’t have a say in that. It was the Indian government that proposed this service group (Reliance), and Dassault who negotiated with Ambani. We didn’t have a choice, we took the interlocutor who was given to us,” French news website Mediapart.fr had quoted Hollande as saying.